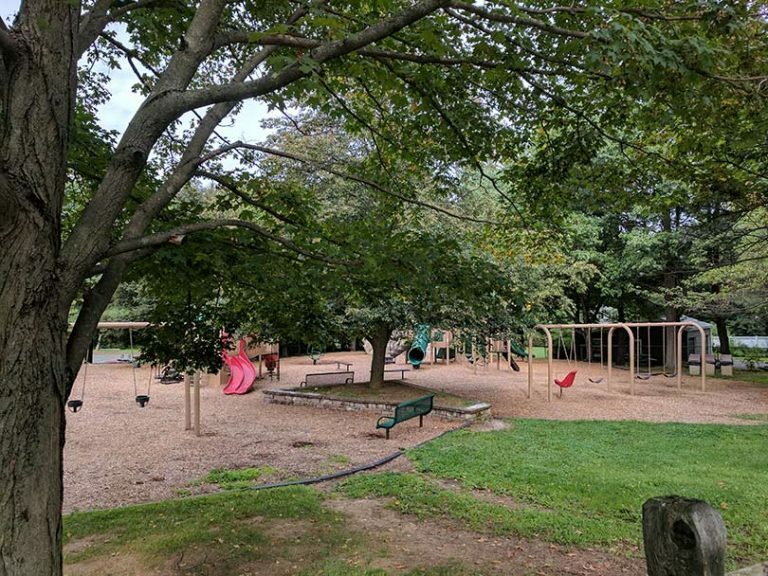 Grove Street Park is Chester Borough’s multi-activity park. For Chester Trails, its most important feature is a paved trail suitable for not only joggers and walkers, but folks with baby carriages and in wheelchairs. It is centrally located only 0.2 miles from Main St. and Patriots’ Path. Grove Street Park contains an extensive children’s playground, 2 tennis courts, a volleyball court, a basketball court, picnic tables, and a large open lawn. There is ample parking. Porta-johns on site. The outer loop is 0.4 miles and there are several internal paved trails to vary the scenery.